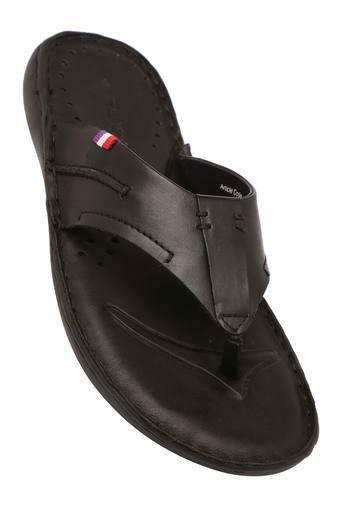 Look stylish by wearing this pair of slippers from the house of Ruosh. 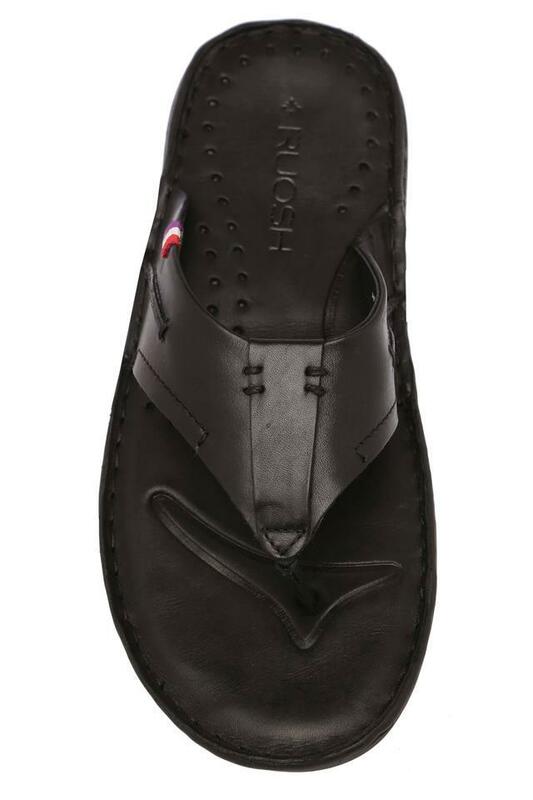 It comes with a slip on style that makes it easy to wear. 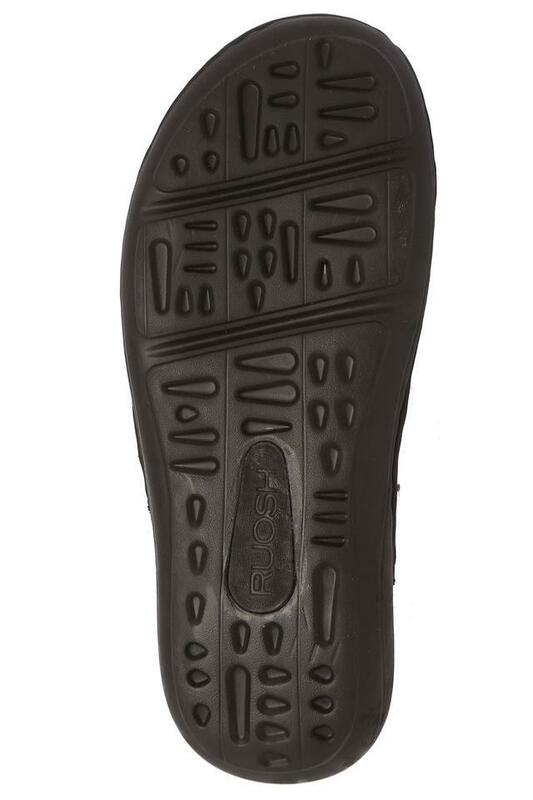 Also, its upper part has been crafted from premium quality leather, which lends it a refined finish. Featuring a rubber sole, it is also slip resistant. An ideal pick for casual occasions, this pair of slippers has a rubber outer sole that makes it slip resistant. You can team it with a T-Shirt and a pair of shorts to flaunt a funky look.